Charles W. Profilet, Jr., P.E. 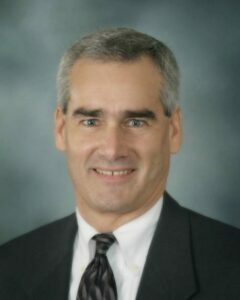 Chuck Profilet joined SouthWest Water in early 2007 as Executive Vice President of the Services Group. He was promoted to Managing Director of SouthWest Water Company’s Texas Utilities in January 2008. His responsibilities include the operations and maintenance, asset management, customer service, financial performance and growth of SouthWest Water’s owned utility assets in the Texas market. Mr. Profilet has more than 30 years of water industry experience. Prior to joining SouthWest Water, he was Vice President of MWH Global’s Houston Northeast Water Purification Plant, where he was responsible for the design, construction, start-up, testing and operations of the 80 million-gallon-per-day (MGD) surface water treatment facility. He joined MWH in 1985 and during his tenure there took on roles such as project manager for water and wastewater infrastructure projects and operations officer for new utility Asset Management Services group. He also led the company’s Advanced Treatment Group, which specializes in the design, construction and start-up of membrane treatment facilities. Mr. Profilet holds a Bachelor of Science degree in civil engineering from Colorado State University and is a registered professional engineer in Texas and Florida.